Stage at the Michelin starred Simpsons Restaurant set in a beautiful Grade II listed building in Edgbaston, Birmingham. For almost two decades the restaurant has enjoyed a reputation for refined cooking and outstanding service. It has held its star since 2004. 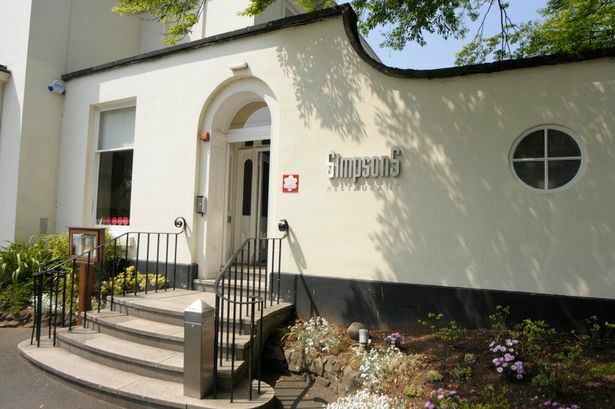 Led by chef director, Luke Tipping, Simpsons has earned a reputation for offering one of the best dining experiences in Birmingham. In recent years, the restaurant has undergone a transformation in terms of design resulting in a bright, modern dining space inspired by the colours and shapes of nature. Driven by seasonality and provenance Luke is renowned for producing stunning flavours. Luke says his cooking is inspired by the very best of what’s in season. 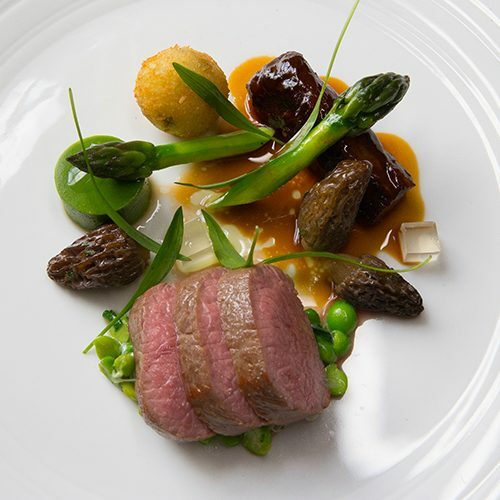 In 1999, Luke was awarded the first ever Midlands Chef of the Year Award. He received a Professorship of Culinary Arts by University College Birmingham in October 2010, in recognition of his efforts in promoting the next generation of kitchen stars. Under Head Chef Charles Smith and his dedicated brigade, it’s clear that the passion and creativity of the kitchen truly forms the heart and soul of the hotel. 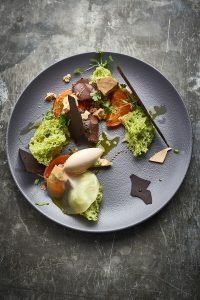 Charles’ career is described by The Good Food Guide as ‘one of the blessed’ due to his stints at Thomas Keller’s Per Se (New York) and Alyn Williams’ The Westbury. 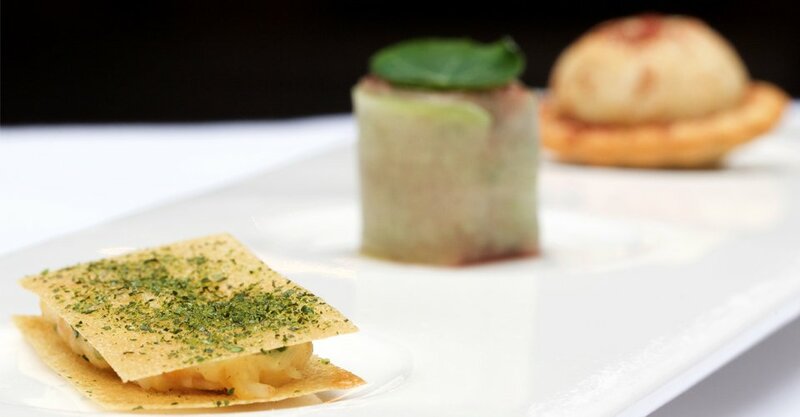 Indulge in exquisite dishes that utilise Chef’s passion for sourcing the best producers. The cuisine combines French influence and Cotswold terroir, there’s no competition when it comes to our restaurant in the Cotswolds. Executive Chef, Hywel Jones has held a Michelin star at the restaurant since 2006 and along with restaurant manager, Christopher Kidd, offer their guests an unforgettable dining experience. Awarded Hotel Chef of the Year at the 2007 Hotel Catey Awards, Hywel has created superb menus in both the Michelin starred Restaurant Hywel Jones and more recently in the stylish and contemporary Brasserie. In his quest for perfection Hywel uses the finest ingredients to ensure the fullest flavours and where possible sources from local suppliers. Herbs are picked fresh from the extensive kitchen garden at the Hotel which helps enhance the subtle flavours of the cooking. He has built a personal relationship with his local suppliers ensuring high quality ingredients that are always reflective of the season. Hywel Jones took part in the May 2011 BBC 2’s, Great British Menu representing Wales; he competed against two other Chefs, one of which was the winner for Wales from last year’s series. Hywel saw off the competition with his four great dishes and was crowned the Welsh Champion, he then went on to represent Wales in the series Final.